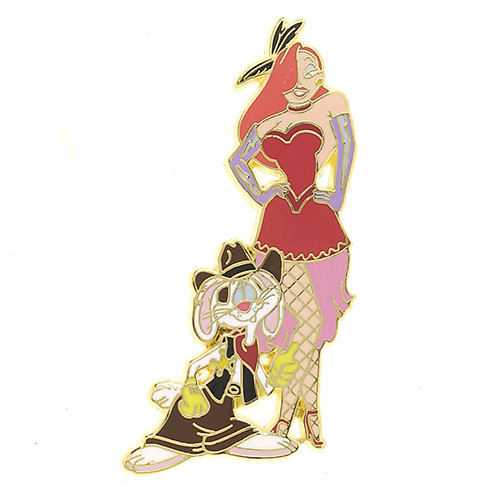 Roger and Jessica Rabbit are dressed in old-fashioned western attire in this Disney Auctions series. Jessica is dressed as a saloon dancer with fishnet stockings and feathers in her hair. Roger is dressed as a cowboy. 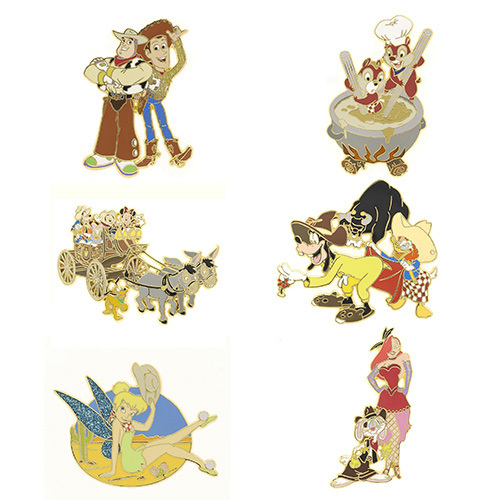 As with most sets, 25 of these pins were sold separately, the other 75 were sold with the full set of 6 pins from the series which included Buzz and Woody, Tinker Bell, Chip and Dale, Mickey Mouse, Goofy and Donald. The pins in this series were all jumbo, or oversized, pins.